If you're unhappy about losing your hair, the simplest option is to get a wig so that you can go back to looking the way you used to. Wigs, however, can be expensive, and you may not have the funds for one. They also need to be replaced regularly if you want to keep looking your best. Fortunately, there is NHS funding available to help some people who need wigs. The NHS may also be able to help you select and order your wig, making the whole process much easier. Wigs and fabric supports are available on the NHS for anyone who is troubled by Hair Loss. Due to limited funding, however, they are not always free. People in difficult financial circumstances can get free wigs, while others may have to pay part of the cost. Even if you have to pay the whole cost, getting a wig via the NHS may be cheaper than going private. If you are a hospital inpatient, meaning that you stay overnight in hospital to receive treatment, then you are eligible for a free wig or fabric support. Nursing staff can help you to make the arrangements if your situation makes it hard for you to do so directly. If you receive income-based benefits or pension credits because you don't have much money coming in, or if you have an HC2 certificate to show that you are on a low income (your local pharmacist can advise you about applying for this), you can get a free wig. Free wigs are also available for children under 16 and for teenagers in full-time education. Some people who cannot get HC2 certificates because their income is just over the threshold can, instead, get HC3 certificates which mean they are entitled to financial help when purchasing a wig. This can make quite a dramatic difference to the cost. If you are in a hurry to buy a wig following sudden hair loss, you can make your purchase through the NHS and claim the money back later if you are eligible according to the usual rules. Just hold onto your receipt and submit the relevant forms within three months. What Type of Wigs are Available? Due to funding restrictions, the NHS is normally only able to supply acrylic wigs. If you have a medical condition, such as an Allergy that stops you being able to wear this type of wig, your GP can arrange for you to receive a real human hair wig instead. There is an increasingly wide range of synthetic wigs available on the NHS. It's usually possible to arrange for you to see and try on several different ones until you find something that works for you. You can have Your Wig Cut To Suit you as part of the service. If you are receiving medical treatment related to your hair loss, the best person to talk to is your specialist or one of the nursing staff, who will often be used to guiding patients through the process of obtaining a wig. If you feel that you need a wig because of natural hair loss, speak to your GP, your local pharmacist or the supervisor of your nearest Well Man or Well Woman clinic. They will refer you to a specialist NHS wig supplier who can talk you through your options and help you make the right choice. Getting your wig replaced is easy. As long as you remain eligible under the rules above, you are entitled to a new wig every six months if your existing one has become worn or damaged. All you'll need to do is fill out a form that you can get from your doctor or wig supplier and your wig will be replaced automatically. You can also take the opportunity to try a new style if you would prefer to, so you can enjoy a new look. 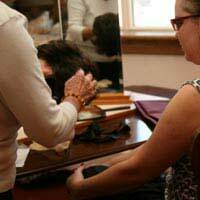 In our Help and Advice Section there is more information on Where To Find A Suitable Wig, How To Wear A Wig, and Styling Tips. I am on income based jobseekers allowance.I pull my hair out which I have done from when I was 13 years old,and I am now 43 years old.I have got bald patches on my head which is embarrassing.Can I get a HC2 certificate to claim for a free wig,if I can,who do I see to get one.Thanks.